On October 19, 2019 at The Castle at 130 Columbus Ave., the Storybook Ball will celebrate its 20th year of supporting pediatric care at MassGeneral Hospital for Children (MGHfC). This year’s Storybook Ball will showcase the Pediatric Gastroenterology and Nutrition programs at MGHfC, which provide multidisciplinary care and expertise in gastrointestinal, liver, pancreatic, nutritional and feeding disorders in infants, children and adolescents. Nearly 4 million babies were born in the United States in 2018, and many of them likely experienced a gastrointestinal (GI) condition in their first year of life. In 2018 alone, there were 24,959 outpatient visits, 1,730 inpatient encounters and 3,539 procedures at MGHfC related to GI conditions. These conditions not only have a direct impact on a child’s physical health, but also the quality of life and emotional well-being of their entire family. As a leader in the research and treatment of GI disorders, the Pediatric Gastroenterology and Nutrition Team is making significant advancements and changing the way pediatric care is delivered around the world. We hope you can join us to celebrate Storybook Ball’s 20th anniversary. To learn more about the Gastroenterology and Nutrition Program at MGHfC, please click here. Below please find sponsorship package options for the 2019 Storybook Ball. Event proceeds allow MGHfC to provide extraordinary care to our patients and their families; to recruit and support the best physicians, surgeons and researchers; and to speed the development of new technologies and cutting-edge research that can transform clinical care worldwide. Please support our efforts by joining us for the 20th annual Storybook Ball at 6 p.m. on Saturday, October 19, 2019. The event will be held at The Castle at 130 Columbus Ave., Boston, MA. For general inquiries about Storybook Ball, please email storybookball@partners.org or call 617.724.3637. Each year, the Storybook Ball profiles a patient and family who have received care at MGHfC. The 2018 Storybook Ball showcased MGHfC’s Division of Child and Adolescent Psychiatry, which is dedicated to the behavioral, cognitive and emotional health of its patients and families. Relive the 2018 Storybook Ball by watching the video below, which features 11-year-old Jett. Proceeds from Storybook Ball over the past 20 years have allowed MassGeneral Hospital for Children to provide extraordinary care to our youngest patients and their families; to recruit and support the best physicians, surgeons and researchers; and to speed the development of new technologies and cutting-edge research that can transform clinical approaches locally and globally. The past generosity of Storybook Ball supporters has helped establish new programs and facilities, such as the Coordinated Care Clinic and the state-of-the-art Francis H. Burr Proton Beam Therapy Center, enhancing our ability to serve children with complex physical and emotional needs. Like most healthcare organizations across the country and within Boston, however, Massachusetts General Hospital is not immune to external challenges. In the face of economic adversity, MGHfC is preparing to pursue its mission of caring for those who need our care most by renewing our commitment to the wide range of existing pediatric programs for which this hospital is renowned. 2018: 101 Dalmatians In 2018, Storybook Ball showcased MGHfC’s Division of Child and Adolescent Psychiatry, which is dedicated to the behavioral, cognitive and emotional health of its patients and families. The Pediatric Behavioral Health team provides comprehensive evaluation and treatment of children and adolescents with a full spectrum of behavioral or emotional difficulties in inpatient and outpatient settings. 2017: Beauty and the Beast at the Castle In 2017, the 18th annual Storybook Ball featured the transformational initiatives at the MGHfC Food Allergy Center, where cutting-edge research and evidence-based, multidisciplinary practice are utilized to provide the best possible care to patients with food allergies. Funds raised at the 2017 Storybook Ball supported pediatric research initiatives and patient care programs in the Food Allergy Center. 2016: Winnie the Pooh at the Castle In 2016, the 17th annual Storybook Ball featured Medical Genetics, a program that specializes in the evaluation and care of patients who have health problems with a genetic or metabolic basis. The skilled team within medical genetics has extensive experience treating a comprehensive range of genetic conditions including: Angelman Syndrome, Autism Spectrum disorders, Cleft lip and palate disorders, and Pitt Hopkins Syndrome to name a few. Funding from the 2016 Ball went to support genetics research, genetic counseling sessions, telehealth consultations, and resident physician training. 2015: Treasure Island at the Castle The 2015 Storybook Ball highlighted Pediatric Brain Disorders and Brain Surgery. MGHfC is recognized internationally for groundbreaking research and clinical care that has greatly advanced the understanding and treatment of conditions affecting the developing brain. These include pediatric epilepsy, traumatic brain injuries and concussions. The funds raised at the ball supported advanced research initiatives, patient care programs such as child life and music therapy, and training and education courses for pediatric nurses. 2014: Charlie and the Chocolate Factory at the Castle In 2014, Storybook Ball featured MGHfC’s Community and Global Health initiatives. MGH and MGHfC work closely with partners in the greater Boston community and across the world to address health problems and promote policy and system change that will foster measurable and sustainable improvement. Funds raised supported programs in local community health centers, as well as initiatives taking place across the globe, including Colombia, India and Tanzania. 2013: Harold and the Purple Crayon at the Museum of Fine Arts To mark the opening of the new MGHfC Pediatric Emergency Department, the 2013 event highlighted Pediatric Emergency Services and Trauma. This focus took on a new meaning in the wake of the Boston Marathon bombings. The evening commemorated the extraordinary care teams and victims of this horrific tragedy. The funds raised supported various initiatives at MGHfC, including increasing Child Life hours in the Pediatric Emergency Department. 2012: Sound of Music at the Museum of Fine Arts The 2012 event highlighted the importance of the MGHfC Nutrition Programs. Registered dietitians and culinary professionals offer both inpatient and outpatient nutrition counseling and educational services to our patients. In addition, the Food Allergy Center at MGHfC provides clinical care, patient education, and conducts research for children with food allergies. The evening also spotlighted the Art and Music Therapy Programs, which bring comfort and hope to our youngest patients and their families when facing a difficult diagnosis or extended hospital stay. 2011: Batman at the Castle 2011’s ball showcased the Newborn Medicine Program at MGHfC. The Newborn Medicine Program offers comprehensive care options prior to birth and extending throughout the patient’s life. From prenatal diagnosis and pre-delivery treatment in the highly specialized Maternal and Fetal Medicine Program to pediatric and adult care across the hospital, Mass General offer seamless, continuous and coordinated care to patients and families. 2010: Aladdin at the Castle In 2010, Storybook Ball raised funds for Pediatric Emergency Services, which encompass not only the emergency room, but the entire emergency services team at MGHfC including the pediatric intensive care unit, pediatric surgery, neurology, gastroenterology, psychiatry, trauma services and other specialty services. Once patients arrive in the emergency room, Pediatric Emergency Services ensures they will be safely and efficiently transported throughout the hospital to receive the appropriate coordinated emergency care. 2009: Jungle Book at the Westin Waterfront Storybook Ball 2009 raised money for Specialized Transport Teams — comprised of trained intensive care nurses, respiratory therapists and critical care physicians — who bring the highest level of care to critically ill or injured children during transport to MGHfC. At an average cost of $2,000 per transport, the event’s success ensured that all 500 critically ill or injured infants and children brought to MGHfC have the highest level of specialized pediatric care along the way. 2008: Peter Pan at the Castle Treatment of a wide variety of life-threatening issues (severe infections, respiratory diseases, trauma) and post-operative care from complex surgeries takes place in the MGHfC Pediatric Intensive Care Unit (PICU), providing high-quality care for critically ill infants, children and adolescents. Proceeds from Storybook Ball supported the PICU’s mission and helped establish the first pediatric neurological intensive care unit in the Boston area. 2007: Mary Poppins at the Castle Congenital heart disease is among the leading causes of infant death in the country. Because of this, proceeds from Storybook Ball 2007 promoted the needs of the Pediatric Congenital Heart Program at MGHfC. This program handles the most complex procedures through standard or minimally invasive surgery, and delivers preventative care for children facing blood pressure or blood lipid disorders. 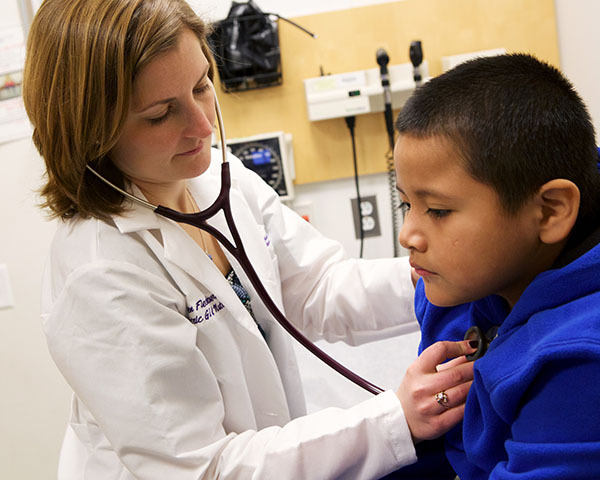 MassGeneral Hospital for Children, the oldest provider of pediatric services in Boston, has offered comprehensive, compassionate care to children since 1821. This is a tradition that every physician, nurse and staff member at MGHfC is committed to keeping—and expanding—into the 21st century and beyond. Expand support and services for children and families with complex physical and emotional needs. Support new and ongoing investigations while speeding and expanding the most promising current research – and hasten the translation of those innovations into clinical care. Continue to deliver the strongest possible commitment to underserved children and their families locally and globally. If you are unable to become a sponsor of Storybook Ball, but wish to support the programs and services of MGHfC, please consider making a gift to the Storybook Ball.